Typically, when you shop for cars you’re forced to weigh a variety of factors against each other to determine how it will fit your needs. Practicality, fuel efficiency, comfort, and everyday livability often come at the price of performance, and a quality interior usually means you have to shell out for a car with a premium badge on the front. However, there’s one car that manages to be sporty, easy to live with, and fairly luxurious with a starting price of just north of $27,000: the Volkswagen GTI. Back in 1975, some rogue engineers at Volkswagen decided to put a more powerful engine in the Golf hatchback alongside some suspension upgrades, wider tires, and better brakes, thus inventing the “Hot Hatch.” VW originally planned to only sell 5,000 of the first generation GTI, but it was such a successful formula that over 462,000 were produced by the time the next generation rolled around in 1983. 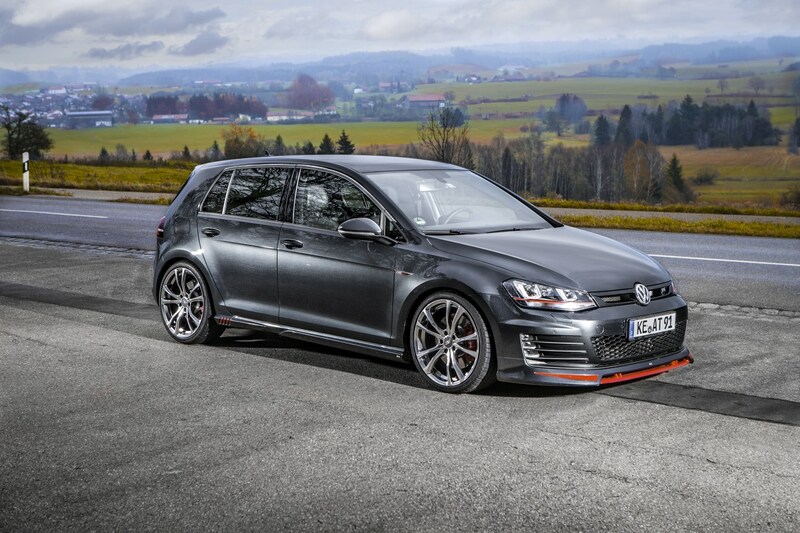 The current GTI is now in its seventh generation, and it largely follows the same formula. Instead of the smaller 170 hp 1.8-liter engine in the regular Golf, the GTI receives a 2.0-liter turbocharged four-cylinder with 220 hp. The brakes have also been enlarged, the tires are stickier, and the suspension and chassis have been optimized for taking corners at supreme speed. It will hit 60 mph in about 6 seconds depending on the transmission you choose, and it packs a serious secret weapon in the form of a mechanical limited slip differential that can find traction in the most unlikely circumstances, rocketing you out of the corner at speeds you’re probably not comfortable with. 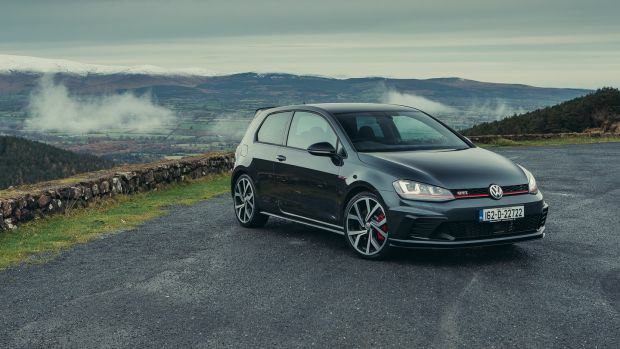 While some of the GTI’s competitors like the Focus ST may be faster and more powerful, the GTI makes up for it by being much easier to live with on a day-to-day basis. Sporty cars are often given hard suspensions to decrease body roll and increase lateral grip, but this usually results in an uncomfortable ride on everything but the smoothest roads. This is not the case with the GTI, as the suspension manages to be comfortable even on long car trips over our nation’s worst interstates. Meanwhile, the GTI offers practicality in droves. It gets great fuel economy ratings at 25 mpg city and 33 mpg highway, and unlike pure sports cars like the Mustang, Camaro and Miata, the GTI has four doors and a usable back seat. While the rear may be a bit too small for large families and those with longer legs, small children and short term passengers will be more than fine. Furthermore, the fact that it’s a hatchback allows the GTI to haul a considerable amount of stuff, especially when the seats are folded. 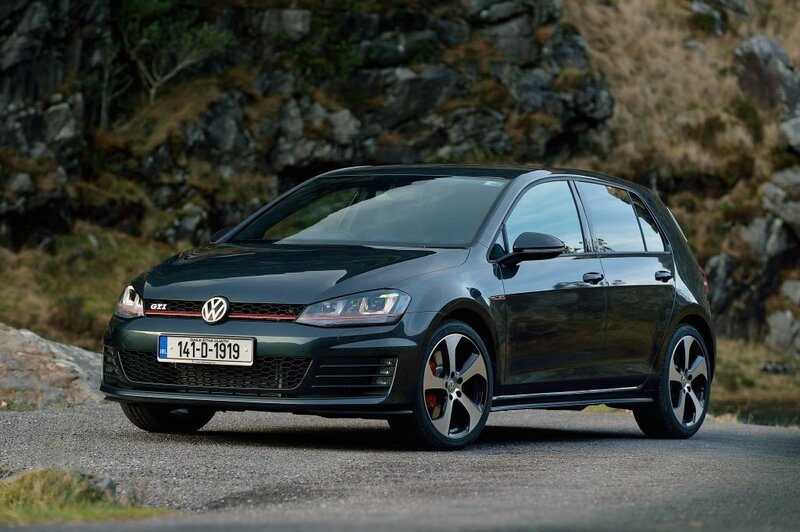 Another huge advantage of the GTI is that it offers a dual-clutch automatic transmission, where many competitors offer only a stick shift. While many enthusiasts will go for the manual in the Volkswagen as well, the option of an automatic is a great offering for those who may not feel comfortable driving a stick or who commute in heavy traffic on a daily basis. There’s no penalty for choosing the dual-clutch either, as the transmission is capable of firing off incredibly fast shifts and it’s smart enough to know when to keep things relaxed and when to take things up a notch. Most of all, the GTI is a fantastic value. Prices start at $27,265 including destination, which is in line with what most competitors charge for their sport compacts. However, the GTI also offers an interior that’s about as nice as you can find in a non-luxury brand. Believe it or not, this may be one of the few cars where the cloth seats are as desirable as the leather; they’re upholstered in a tartan plaid like the original GTI and feature the same heating and adjustability as the more expensive leathers. Everything else is made with decidedly premium feeling materials that punch above their weight compared to many rivals that feel every bit like the economy cars they’re based on. The top trim Autobahn GTI is very upscale, comparable to many lower-trimmed Audis and BMWs but with arguably more technology and features. All in all, the GTI is a perfect benchmark to judge the value of almost every other vehicle below $40,000. The car blends performance with practicality as seamlessly as you could imagine, and manages to provide an upscale experience at a price that’s attainable to most. The only things it really can’t do is haul heavy loads like a truck, tackle off-road trails, or carry more than five people. Outside of that, the GTI offers so few drawbacks it could easily be considered the best all-around vehicle you can buy at nearly any price point.